Spain offers just over 8,000 km of coastline (that is nearly 5,000 miles) and many of those kilometers are lined with stunning beaches, making Spain one of the world’s top beach holiday destination. The beaches in Spain are as diverse as Spain itself, with some beaches more idyllic and remote while others are smack in the middle of it all and given the geography, Spain offers beaches both on the Atlantic Ocean as well as on the Mediterranean Sea. 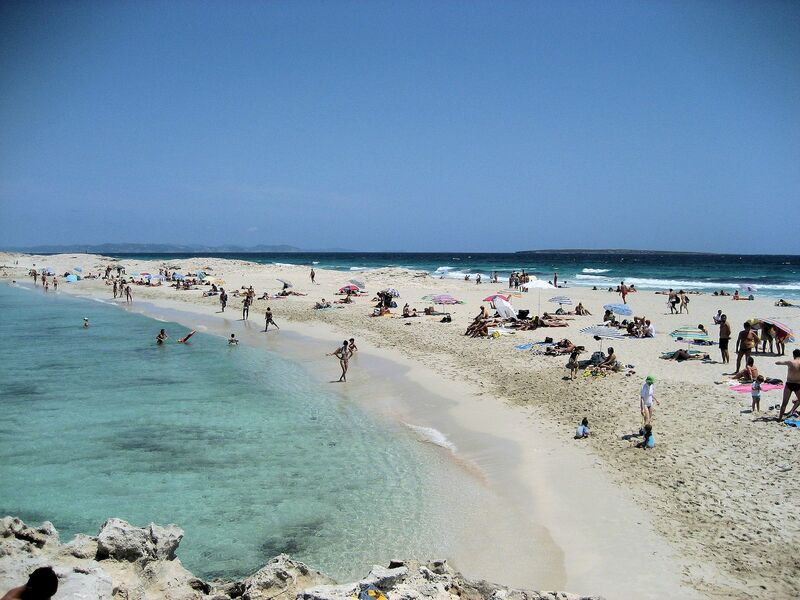 The Playa de Ses Illetes is a beach located on Formentera, the smallest of the Balearic Islands. This is also the one with the most unique beaches. Top of our list is the Playa de Ses Illetes which you can find just off the northern top of Formentera, in the natural park of ses Salines. Given the beauty and high natural and scenic value, this beach has even been declared a World Heritage Site by UNESCO. This is a hugely popular beach with white sand, calm waters and crystal clear water. The Playa de Maspalomas beach is a major area of sand dunes that at some points is as wide as 100 meters. This beach is located in the southern part of Gran Canaria, the biggest island of the Canary Islands and joins the Playa del Inglés on the east side, providing a total of 6 km of spectacular beach. 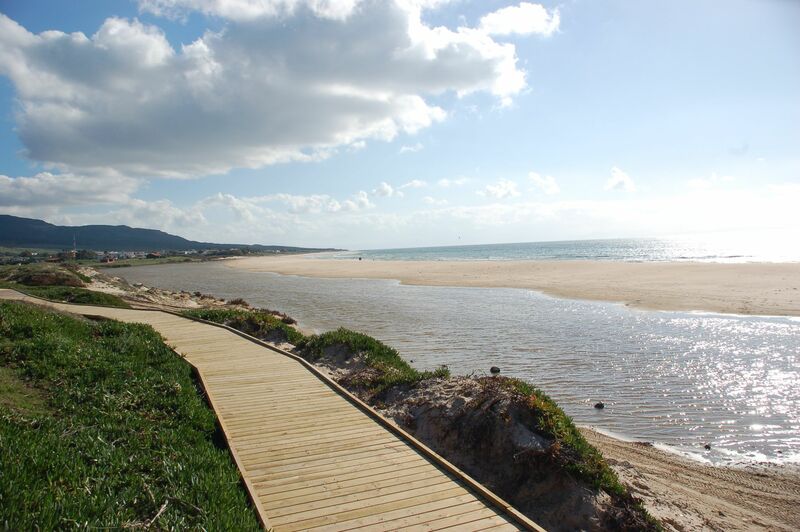 The Playa de Bolonia is located in the seaside resort of Tarifa, part of the province of Cádiz in Andalucía. The Playa de Bolonia stretches over 3,800 meters and has a median width of around 70 meters. This idyllic beach is one of the few virgin beaches left in the south of Spain with practically no urban development around its area. There are also some roman ruins from the ancient city of Baelo Claudia to be seen. 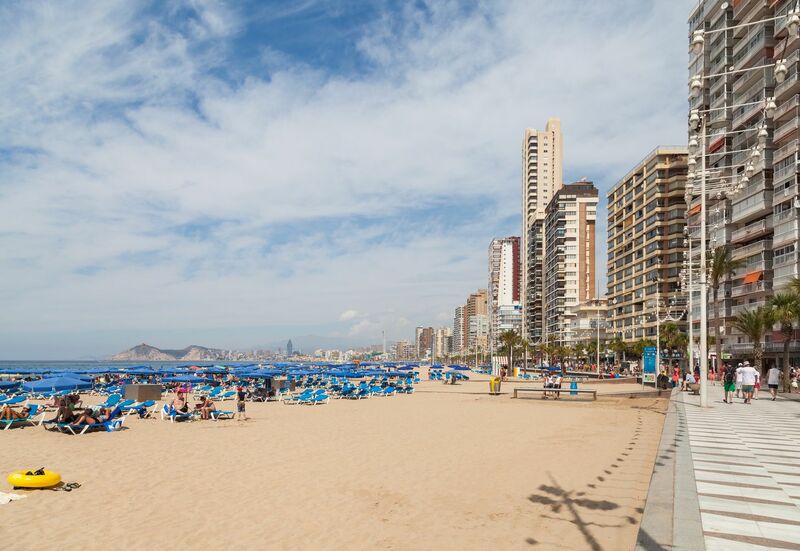 The Playa de Levante is a 2,000 meters long and 110 meters wide beach located in the city centre of Benidorm, the leading beach destination in Spain. This urban beach offers disabled beach access and is lined with beach bars, restaurants, shops children’s play areas, showers and toilets. You can rent a sunbed and umbrella or you can enjoy cable skiing as well as other water sports. The Playa de Cofete beach is located on the island of Fuerteventura on the Canary Islands. This is a remote area, which can only be reached via a 20 km long unpaved road. 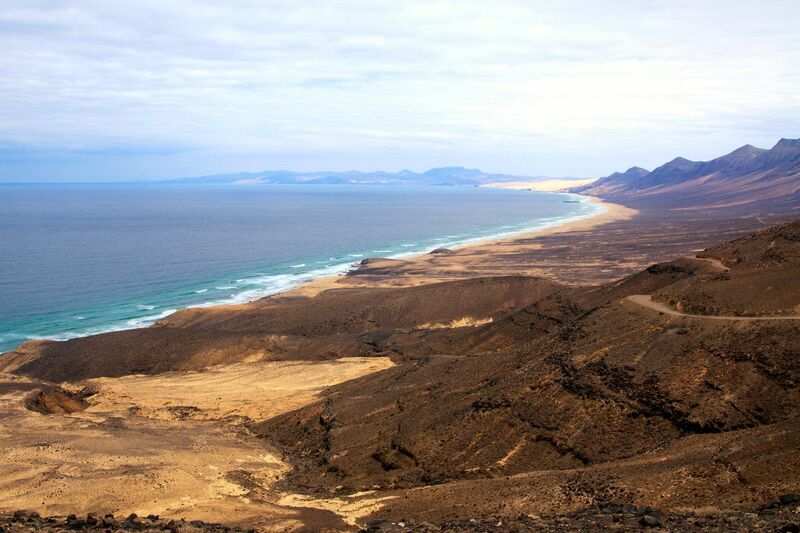 The Play de Cofete is a stunning virgin beach of nearly 14 km in length and up to 50 meters wide. Although there are often strong winds and high waves, the natural beauty of this beach makes it ideal for relaxing. 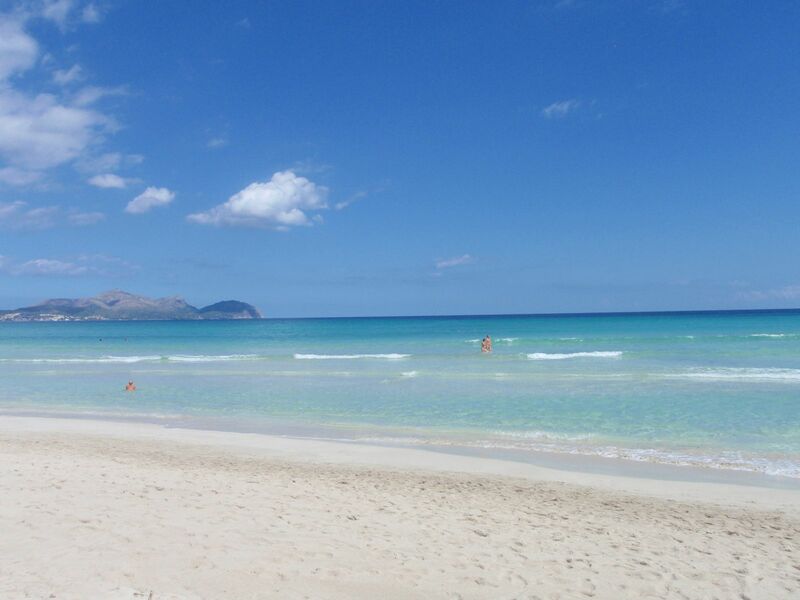 The Playa de Muro or Platja del Muro as it is known by locals, is a 5 km long beach with a width of up to 70 meters, located in Muro, a small town in the north of the island of Mallorca. Here the sand is white and the water crystal clear. If you have been to one of these beaches, please share your experiences below.